In large skillet, cook ground beef and garlic-pepper blend until beef is thoroughly cooked, stirring frequently. Drain. In 3 1/2 to 4-quart slow cooker, combine cooked ground beef and all remaining ingredients except buns; mix well. Cover; cook on low setting for 6 to 7 hours. 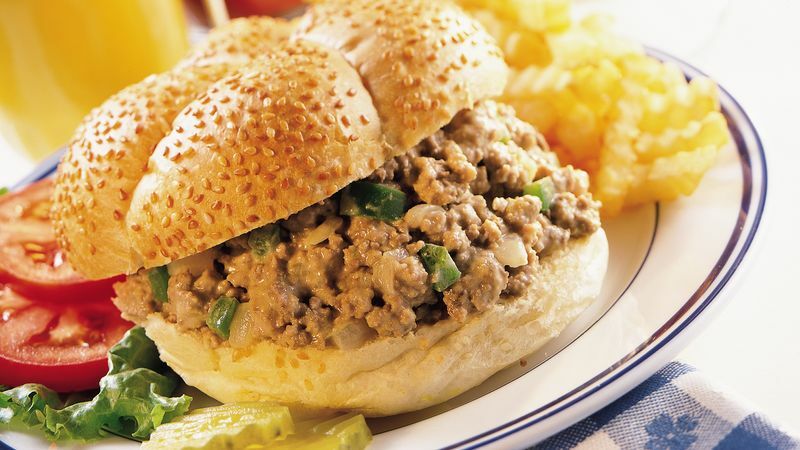 Spoon beef mixture into buns.